If you’ve never heard of Canva, stop what you’re doing right this instant and go to their website: www.canva.com. 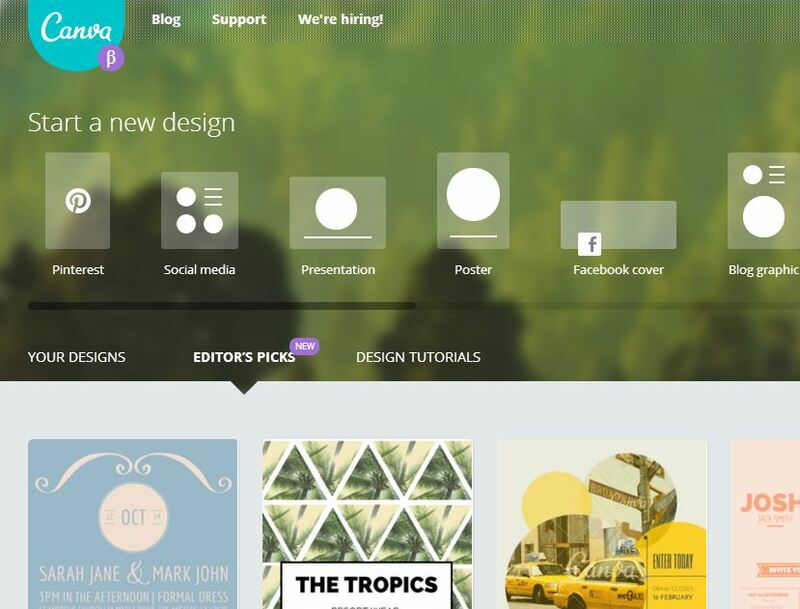 Canva is a design program that is easy to use and free, which is why we are making it this week’s tool for success. Once you’ve signed up for a free account, you can create anything from posters, presentations, social media images, blog graphics and more. You no longer need to be a graphic designer to create beautiful, inspiring images. One of the easiest things to create with Canva is infographics. They provide hundreds of images, charts, and icons that you can use create a meaningful infographic. Even if you don’t have a creative bone in you, they offer tutorials about proper color schemes, making your backgrounds pop, how to choose a font, and more. Have you designed something in Canva before? Tell us about your experience. This entry was posted in Tools for Success and tagged canva, free, online, photos, tips and tricks, Tools for Success. Bookmark the permalink.